The best ozone system for a loft, warehouse, studio, or 18000ft3 property. Keeps the air clean 24/7/365. Personally demonstrated by Greg. Multi-purpose wide variety air purification applications. 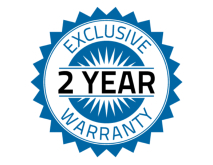 Guaranteed for two full years with no further service cost. 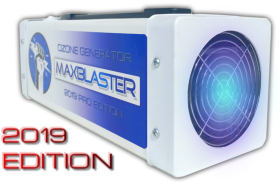 Includes (4) NEW 2019 Edition MaxBlaster PRO-G ozone generators. Fast 18000ft3 treatments in as little as 30 minutes. Capable of removing heavy odors over a couple of hours. Thousands sold since 2008. No cheap chinese parts. Reliable pro performance. Prevent downtime and ensure you always have 4 working ozone machines. 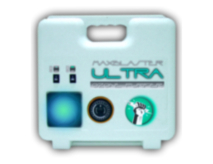 Spare generator packs included so you can install it if/when a machine needs service. Send the original pack back to us for replacement. 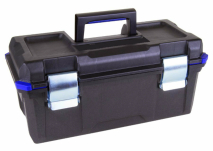 Most generator packs last at least 18 months under regular use. 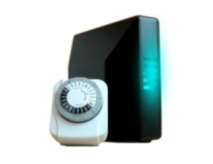 Makes it easy for us to guarantee two full years of use with no additional cost. The filters and end pieces to our machines are cheap and replaceable. So we'll throw some extra's in for our green loft customers. Change the filter when you see the original getting dirty. Change the end pieces if they crack or get damaged. Just when you started to wonder how you were going to store all this equipment I'm here to tell you five carry cases will keep all of the above packaged together very nicely. Organized. Protected. Secure. We'll ship everything in the manner we recommend you store it going forward. Give yourself unique cleaning capabilities with this highly sophisticated ozone air purifier. 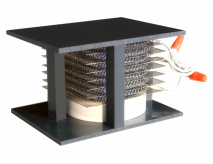 Produces moderate levels of pure ozone with no bi-products. UV ozone and germicidal purification. Ideal to treat air ducts with ultra pure ozone. Specialty treatments up to 2500sqft with light pure ozone. 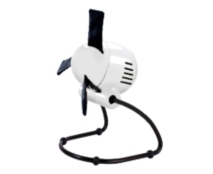 Ideal for grow room, green space, and high humidity areas. Complement the use of your high-intensity ozone machines with these low output pure ozone air purifiers. Keep them running all day long to add safe levels of pure ozone to any space. 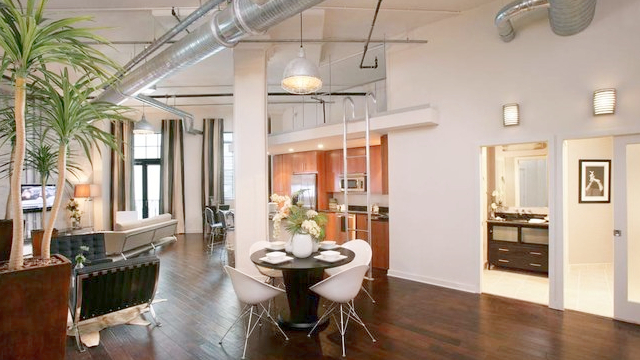 Ideal for about 500sqft each. Makes individual rooms smell great and feel fresh. Use all four to cover a bigger space. With proper use of the equipment above I guarantee that for the next two years you will spend zero dollars on service or parts. No matter how much you use it. I've sold thousands since 2008 and I know what to expect. Contact me if you need further service within the first two years and I'll handle it.